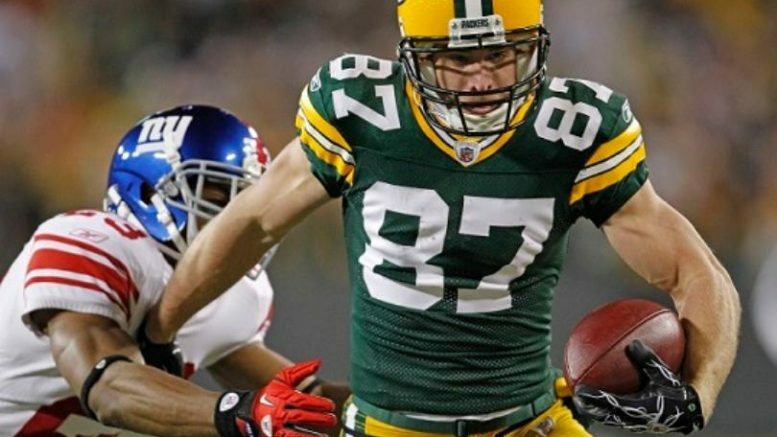 Packers wide receiver Jordy Nelson has been on fire of late, averaging 105.6 yards receiving over his past five games. The Packers can clinch the NFC North with a win Sunday night in Detroit. I’ve been spot on in picking Panthers games the past two weeks, so I’ll try and hit the trifecta in the season finale. Carolina probably still won’t have Luke Kuechly, but should have enough pride to take Tampa Bay down to the wire. The first matchup was just that way, with a last-second field goal propelling the Bucs to a 17-14 win on a Monday night in Week 5. The Bucs are still mathematically alive, but need a miracle, and look like they’ve returned to earth after a five-game winning streak got them to 8-5. They may still end 2016 with a winning mark, but it won’t be easy against last year’s NFC champs, who will be playing this game with heavy hearts as special teams coach Bruce DeHaven passed away earlier this week. Pick: Panthers. The Rams never cease to amaze: just when you think they’ve hit rock bottom, they lose your heart over with a performance worse than the last. Blowing a 14-point lead at home to the 1-13 49ers isn’t a ringing endorsement for interim head coach John Fassel, and the Cardinals are looking to end a disappointing year on a high note. After a big win in Seattle last week, look for the Cards to keep the pitiful Rams offense down and get the win (and cover). Pick: Cardinals. Though I didn’t actually state it for the record, I felt like Arizona was the biggest lock of my confident picks last week, and I kind of feel the same way about the Chiefs this week. Kansas City has an AFC West title and first-round bye in its sights, though it still needs help from the Broncos. The Chiefs are feeling it after dousing Denver, 33-10, and are one of only two teams entering Week 17 still unbeaten in divisional play. That is especially impressive for a team playing in the rugged AFC West. In Week 1, the Chiefs needed a 21-point comeback, the largest in franchise history, to beat the Chargers in overtime. Here’s thinking that momentum carries over into this matchup, and then combine that with the fact that the Bolts have their collective tails between their legs after losing to the 0-14 Browns last week. San Diego will be looking ahead to the offseason, not to mention playing in front of an audience that figures to be a majority of Chiefs fans, in what could be head coach Mike McCoy’s final game. Pick: Chiefs. Believe me, I’m incredibly tempted to take the Raiders here on the basis that them winning would secure a bye and virtually guarantee a Steelers-Patriots AFC championship game. If Matt McGloin pulls off the win, it means the Chiefs, really the only hope to stop either Pittsburgh or New England, would have to go the wild card route to get to Super Bowl LI. Given how all the breaks have gone the Pats’ and Steelers’ way, it wouldn’t shock me. Yet, I’m going to defy logic here. Logic being that it’s hard to envision that the Broncos porous offensive line can block Khalil Mack, or that they can run the ball effectively. Denver will be rotating Trevor Siemian and Paxton Lynch at quarterback, but like with Carolina, I feel like Denver will want to end this disappointing Super Bowl-follow-up year on a high note. Preventing the rival Raiders from winning the AFC West would accomplish that, and somehow I think the Broncos will get it done. Pick: Broncos. Don’t ask me why, but I just don’t trust the Seahawks as much as I used to. Maybe it’s key injuries to Earl Thomas and Tyler Lockett, or just the fact that they have been prone to lay an egg on the road this season. Seattle is still in the hunt for a first-round bye, needing a win and an Atlanta loss, but the 49ers are riding a one-game winning streak! Okay, that doesn’t mean that I think they’ll pull the upset, but with the pressure more so on the Hawks, I like the 49ers to do just enough to keep the score gentlemanly and cover the spread. Pick: 49ers. For as much as I’ve talked about my disdain for giving 3.5 points in a game, I’ve had success with 3.5-point favorites the past two weeks, with the Giants in Week 15 (against the Lions) and the Chiefs last week. But this just feels so scripted, with the Packers following up on Aaron Rodgers’ proclamation that they would win out after falling to 4-6 after 10 games. The Lions have also pulled this act before, wasting a beautiful start and missing out on the postseason. This could end just like it did in 2000 for Detroit, when it began 9-4 but dropped its last three games, including a Week 17 heartbreaker at home against Chicago on a 54-yard field goal by Paul Edinger. Playing on a short week, coming off a miserable second half against Dallas in a 21-point loss, I can’t see the Lions mustering up enough mojo to knock off the red-hot Packers. All year, the Lions have simply found a way, but it seems that their good fortunes have run out. Pick: Packers. Be the first to comment on "Closing the Season in Style: Week 17 Picks"